What makes me a good Weaboo? PART 2!!!!!!!!!!!!!!!!!!!!!!!!!!!!!!!!!! Re: What makes me a good Weaboo? PART 2!!!!!!!!!!!!!!!!!!!!!!!!!!!!!!!!!! The thing that concerns me the most in this topic is the last line of the original post. Young Greezy wrote: The thing that concerns me the most in this topic is the last line of the original post. Haha what, you should be glad. now you guys will have a demo for your scrimz! Looks like google and boolet will be fighting it out. DAH HELL. Bullet, ummmm, cool story bro? Young Greezy wrote: Looks like google and boolet will be fighting it out. You need practice youngin'! Come practice with me in the ammomod server some time!!! and wtf is a boooelteotinaweotnialet? I raged in the midst of typing your name and maybe lol. Eeewwwwwww!!!!! I can only imagine what you look like. Just kidding, I know some weaboo friends who look perfectly normal. The stereotype would be fat guy who lives on a taco bell diet, room flooded in taco bell wrappers, desk with booger stalactites on the bottom, etc. That's not you though, is it? dumbasscus wrote: Eeewwwwwww!!!!! I can only imagine what you look like. 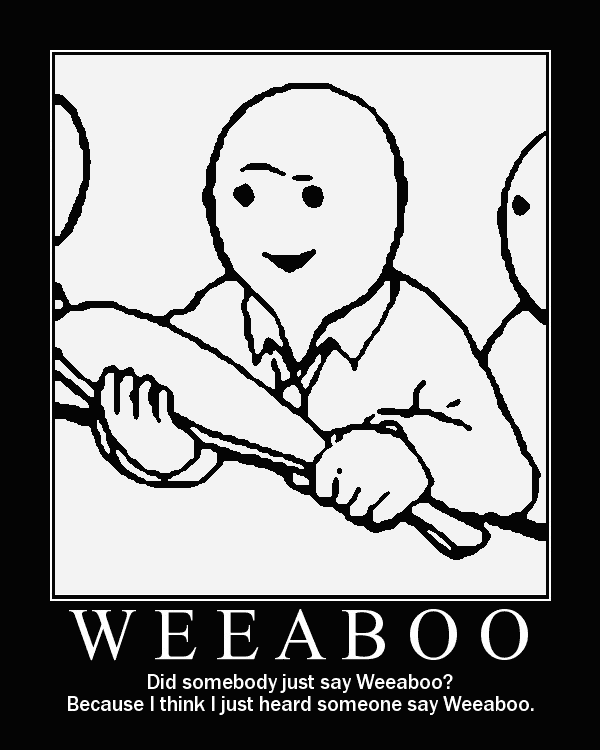 Just kidding, I know some weaboo friends who look perfectly normal. The stereotype would be fat guy who lives on a taco bell diet, room flooded in taco bell wrappers, desk with booger stalactites on the bottom, etc. That's not you though, is it? Me and bullet are going to the gym everyday. We can almost bench 550 now ! We are making progress. I can bench 600 ._. I can bench Chuck while he's holding vlad. That's over 9000 + Chuck for all those no good at math. I was about to say something about 9000, but it's such a cliche now. How about we all go back to my engy theorycrafting thred k guise? I can bench bullet's engie theorycrafting thread.